After two sojourns into the arena of the Hunger Games, there was no way Katniss could back in for a third go-round. Especially since the flashes Katniss mistook for fireworks at the end of the last contest were actually bombs exploding, marking the attack of the rebels. So where can Katniss go now? Home. Although there is little point, because President Snow ordered District 12 firebombed as soon as the rebels rescued Katniss, Finnick and Beetee from the clock arena. In the time it took Katniss to recover from her critical wounds, she realized that she was taken to District 13, which was not completely destroyed as the Capitol claimed. The surviving population moved underground and organized a rebel force to overthrow the hated Capitol. Katniss also discovered that Gale had survived the attack on 12; in fact, he was personally responsible for guiding 800 refugees out of the conflagration and to District 13. As a hero, Gale was given access to the upper echelons of rebel command. And President Coin of District 12 — along with key conspirator Plutarch Heavensbee, the former Head Gamemaker of the Quarter Quell and secret rebel – have plans for Katniss. Since she was the spark that ignited the revolution, they want her to officially take over as figurehead of the rebellion, donning a Mockingjay costume designed by her late friend Cinna and filming propaganda spots to bolster rebel resolve. Katniss was unsure whether to take on the role because she wanted to fight the war for real, not in staged scenes – but she was horrified to discover that Peeta had been taken from the arena alive by the Capitol, and was being used a propaganda tool by President Snow. So Katniss dons the costume and takes up a battle that turns out to be more horrifying – and far more costly – than two Hunger Games combined! 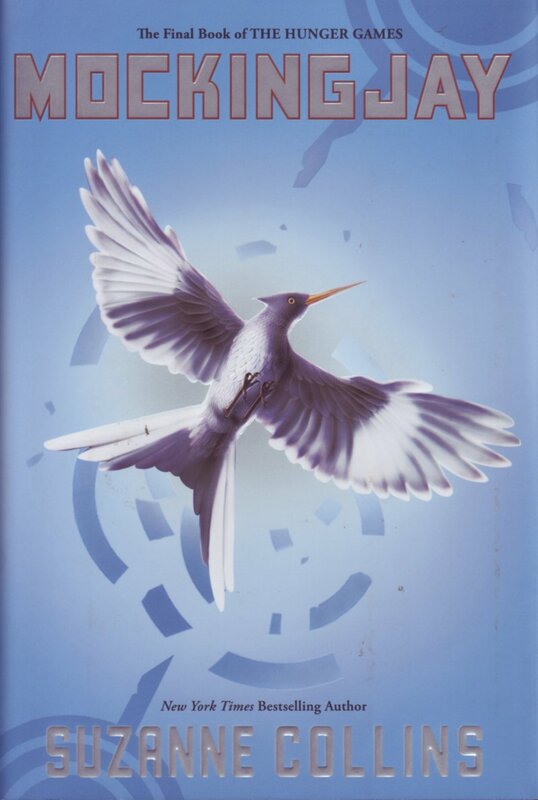 In this final volume, Katniss is hideously scarred, both emotionally and physically, more unhinged from reality than ever, and willing to do anything to rescue Peeta and kill President Snow. But this Katniss is more withdrawn and sullen than ever, haunted by memories and visions that are both real and unreal. Everyone else seems to know what they are doing, but Katniss is completely adrift, able to cling only to her hatred. This volume feels rushed overall, as three-quarters of the story seems to be meandering, as if killing time before the climax. 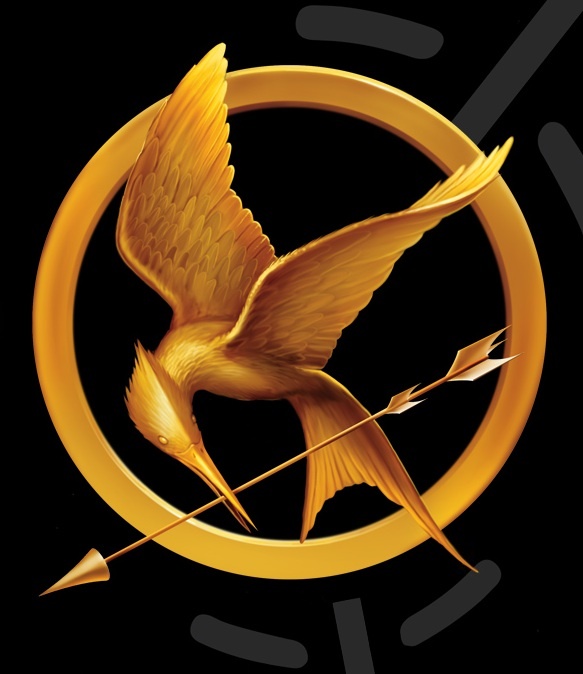 And, because Katniss is our eyes to the world, the reader misses out on huge, significant chunks of the revolution. But, sadly, she does witness the most horrifying and shocking event in the entire trilogy – one that may have the reader dropping the book on the floor, or even dissolving into tears! It’s a shame this book was not more tightly written and edited. This entry was posted in Bookshelf, Review and tagged Katniss Everdeen, Mockingjay, postaday2012, The Hunger Games. Bookmark the permalink.